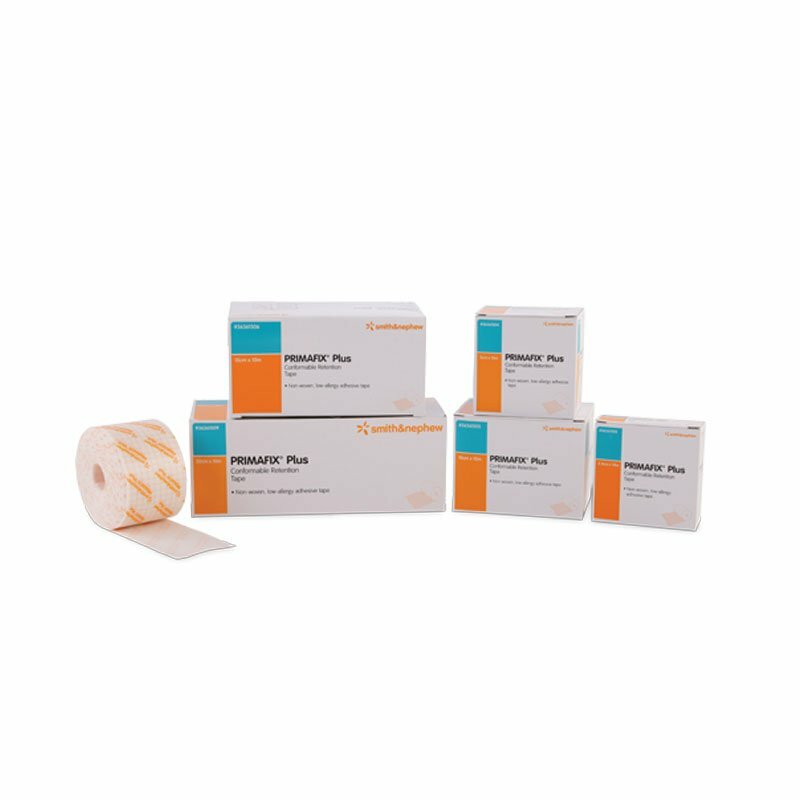 Smith & Nephew PRIMAFIX Plus Tape, 4" x 10" yds was designed to secure dressing to the joints and contoured parts of the body. This tape is made from non-woven polyester substrate with a low allergy adhesive and is sutable for active patients. PRIMAFIX Plus tape was designed with a wider area to attach wound dressing securely to the the body, particularly on joints and contoured parts of the body. PRIMAFIX can also be used to secure position of tubes, catheters, measuring devices and instruments. It is made from a non-woven polyester substrate with a low allergy adhesive suitable for patients with sensitive skin. This product is also suitable for active patients. Air and water vapor permeable. Soft and comfortable ensuring patient comfort. Allows joints to be dressed without constraining movement. Contains 1 PRIMAFIX Plus Tape, 4" x 10" Yards.